With an election season upon us, we are starting to hear a lot about the so-called "gig economy.” Before listening to politicians, it is important to understand what a gig economy is and why it is in the spotlight. Thanks to upstart companies like Uber, Lyft and Airbnb that use independent contractors rather than full-time employees, the term “Gig economy” will be among the political buzzwords we’ll hear from candidates in the coming months. Before listening to politicians, it is important to understand just what a gig economy is and why it is in the spotlight. The so-called “gig economy” is based on self-employed people who contract out their services to others. 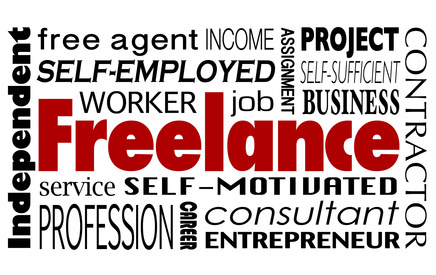 For example, freelance photographers or writers, marketing consultants and temporary workers. These folks have the flexibility, freedom and independence to pick and choose jobs, hours, set prices, and serve many clients rather than one single employer. For some entrepreneurs, the gig economy offers a chance to create and test their ideas in the marketplace, with only themselves and their resources at risk. For employers, the ‘gig’ seekers offer a cheaper alternative. Employee benefits cost more than 46 percent of wages. Despite being a good deal to many employers and workers, and the relatively low workforce numbers, gig economy is a perceived threat to government control and unions. For starters, it’s hard to organize a group of workers who are independent of any single employer. And as outlined in Breitbart.com, when companies go 1099 rather than W-2, governments forgo Social Security and Medicare taxes, state unemployment and workers compensation insurance, Obamacare burdens, company 401K contributions as well as any profit sharing. This may explain why we’re seeing more government oversight and interference. Under the guise of protecting people from unsavory employment practices, the National Labor Relations Board is going through job classifications with a fine tooth comb. Earlier this summer, a ruling by California labor commission that an Uber driver is an employee, rather than an independent contractor could set up a major fight for the future of the on-demand app industry and the definition of its workers. No matter what politicians say in the coming months, remember that most of the nation’s workforce is still employed by traditional means. It’s a business model that has served well millions of people throughout our country’s history. No amount of technology can completely eliminate the traditional employee. And of course all workers deserve protection from fraud and unsafe workplace conditions. But just as Americans enjoy a variety of talents and interests, so should we be able to enjoy the full variety of employment options that we can create for ourselves now and for succeeding generations. Government policies should encourage, rather than discourage these opportunities.